The Institute of Infinity Sciences is currently investigating the link between the Law of Attraction as posited in many ‘new age’ arenas, with the latest theories of quantum mechanics. It looks as if the convergence between these two arcane models is increasing daily as more scientists and new-agers begin to study each others’ claims. We may be on the brink of a whole new way of describing the world we occupy. Along with this clearer understanding comes a sense of wonder at the sheer magnitude of human reality. Professor David J. Searle, of the University of Infinity Sciences is currently writing a paper which details practical experiments he has undertaken in his specialist field of Reality Engineering, utilising aspects of holographic theory, abundance theory and the latest research into quantum fields. Dr. Searle is determined to develop practical applications for these theories which can have positive outcomes for humanity. His latest batch of results indicate that a breakthrough is imminent. More soon. Founded January 15th 2008 (20:30 GMT) by Dr David J. Searle, Professor of Reality Engineering at the University of Infinity Sciences. 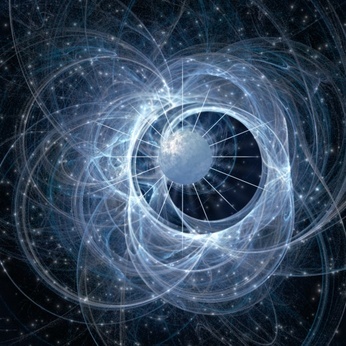 The aim of the Institute is to develop theories relating to Hyper-Travel systems, specifically Inter-Galactic space travel, Time travel and travel to Simultaneous (Parallel) Universes. Also we are involved in on-going research into the Holographic Paradigm and its practical application within the fields of psychology and economics. Whilst such subjects currently have only novelty value among the general public (not to mention our fellow scientists), it is our aim to bring our scientific endeavours within the realm of mainstream science.